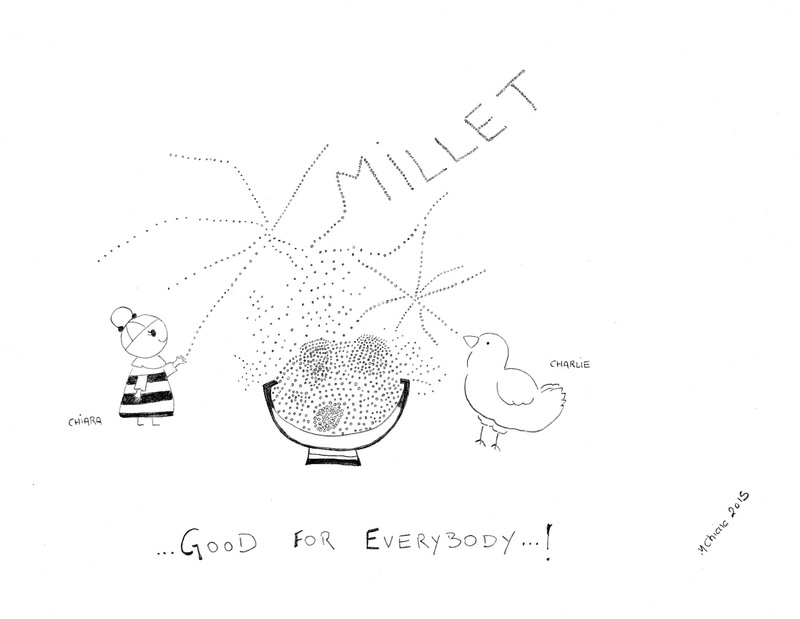 Teeny tiny, golden (even if it can be also brown), millet is often considered food for birds…only! Actually it is good for us too, and even very good because it is packed with precious nutrients. In Europe there are few crops, and today most of millet comes from India, China and Nigeria. When it is not decorticated, millet is also rich in fibre and as per all the gluten free grains, it is very easy to digest. Millet is a precious source of iron that is quite handy for women in particular. Please note that some of the minerals that have a vegetal origin are a little more difficult to be absorbed by our body, especially iron, so we do recommend when we eat millet to associate it with vitamin C that can be found in all the orange, yellow and red fruits and vegetables. 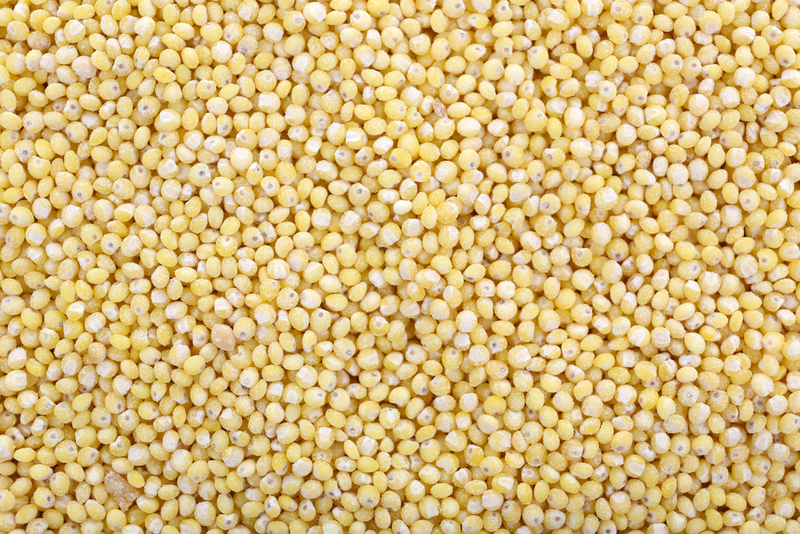 Millet is also a good source of magnesium, phosphorus, silicon, and vitamins from the B GROUP. It is full of mineral salts and it is particularly indicated if you feel tired, during pregnancy and breastfeeding. For the same reasons as above, millet is often used also in beauty products suitable for the skin, hair and nails. At the grocery store, it is sold as a grain, flour, and flakes. When we cook it as grain, we shall remind ourselves to wash it well. Millet doesn’t need to be soaked and we can cook it like we do for a risotto. It is definitely tastier this way and we will discover that millet is incredibly versatile and easy to cook as it thickens by itself. In a few words, with millet, we just need to unleash our fantasy in the kitchen and let ourselves go with it.